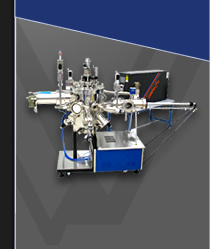 The SVT Associates Valved Deposition Sources enable instantaneous control of selenium and sulfur as well as other high vapor pressure materials. The proprietary valve design provides reproducible and precise flux profiles for the most demanding growth processes. Each source is engineered for the appropriate material with an optional thermal cracking region to improve material incorporation. As the largest valved thermal evaporation source available on the market for Se and S, the SVTA-C-SE-3000 series source has a capacity of 30 L. With optional "On the Fly" reloading, Se and S are no longer the limiting factor in campaign length. 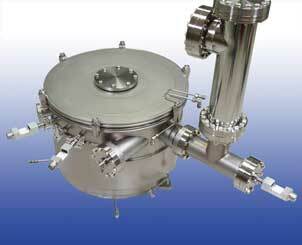 A material distribution manifold is available for large sample and in-line deposition applications. The distribution manifold is engineered to evenly distribute material across the entire substrate. Precision Valve to Deliver Reproducible Depositions. Contact SVTA to speak with one of the experts on how the Large Capacity Valved Sources can drive your operating costs down and your production up.